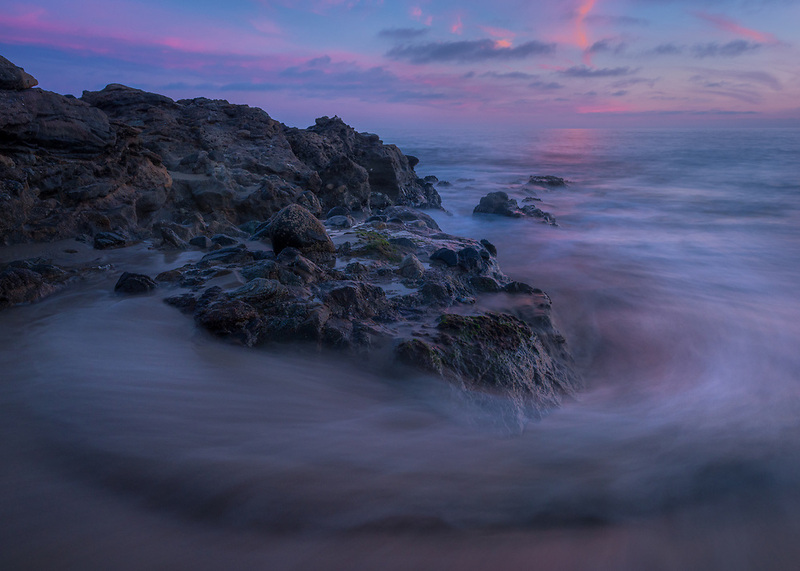 I love capturing abstraction at the beach and this particular evening in Laguna Beach was no different. Having created images at the beach that depict the raw energy of the sea, I want to have a calmer composition: the soothing power of the sea. This is one of those images.